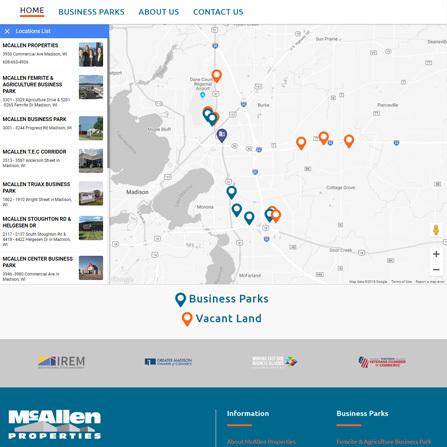 McAllen Properties is a family owned business that offers turn-key property development, leasing, and management services. 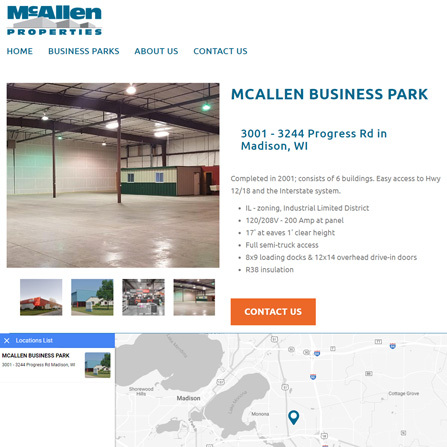 Adesys designed and developed this website with the goals of creating an aesthetically pleasing, informative, and easy to use website that effectively informs visitors as to the services McAllen Properties provides as well as the available spaces. 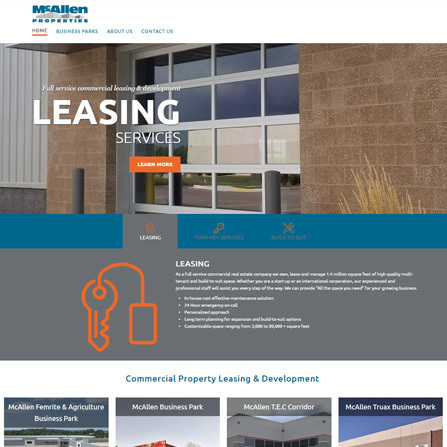 A key feature of this website is the interactive map which allows prospective customers to explore the available spaces throughout the Madison area both on desktop and on mobile.